We are an African wildlife and nature specialist stock photo agency. 40,000 quality images. Stunning action photos of animals and birds, plus many rare and endangered species. Go to Stock Images to view a huge selection of sample images online. Also tightly edited low res sample selections emailed to you on request. Competitive publication rates and fast digital delivery of high resolution images. Save the great expense of an African Safari to obtain authentic reference material for your artwork. For a very reasonable fee we can provide a high resolution digital scan that will produce a finely detailed photo print for you to work from. Select the images you wish to paint or draw from our vast selection in Stock Images. • Visit the Gallery to view a stunning selection African wildlife, nature and scenic images. 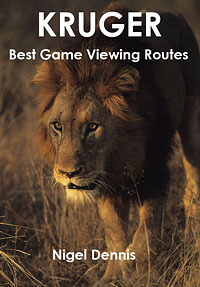 • Where to watch game in the Kruger National Park – top photo hotspots!